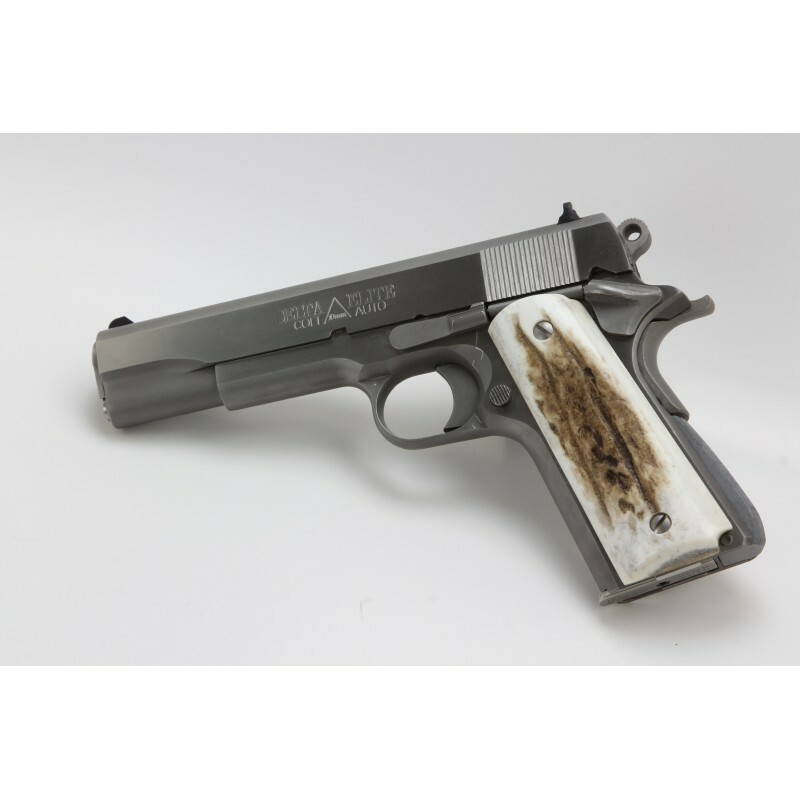 These grips are made to original 1911 military specs and fit most popular 1911 full size models such as Colt, Kimber, Remington, Rock Island, Ruger, Sig Sauer, Smith & Wesson and Springfield Armory. ***Please allow at least 2-4 weeks for delivery. 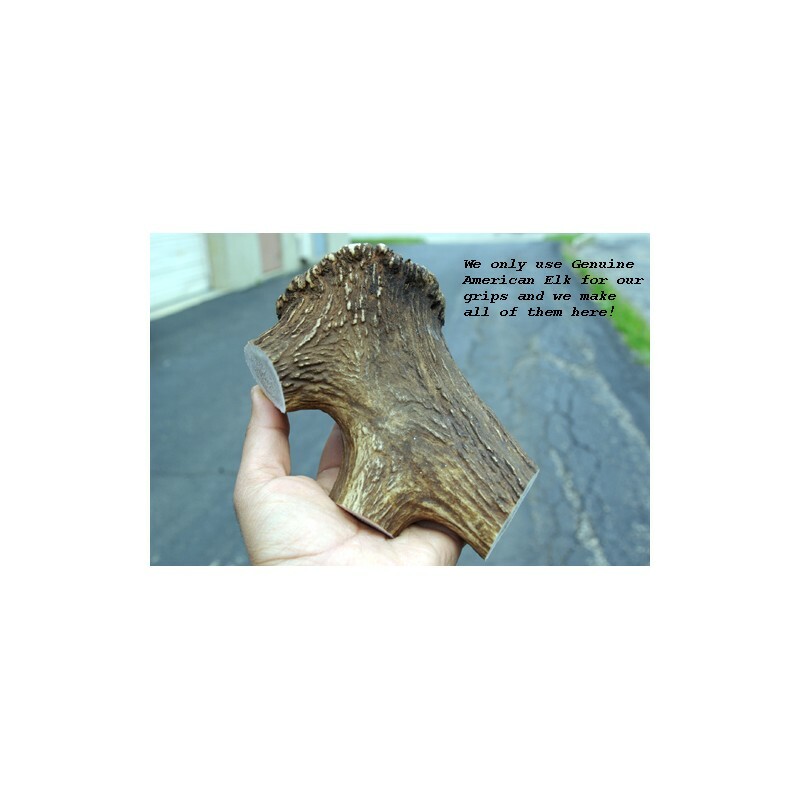 These grips will be custom hand crafted from exotic materials. 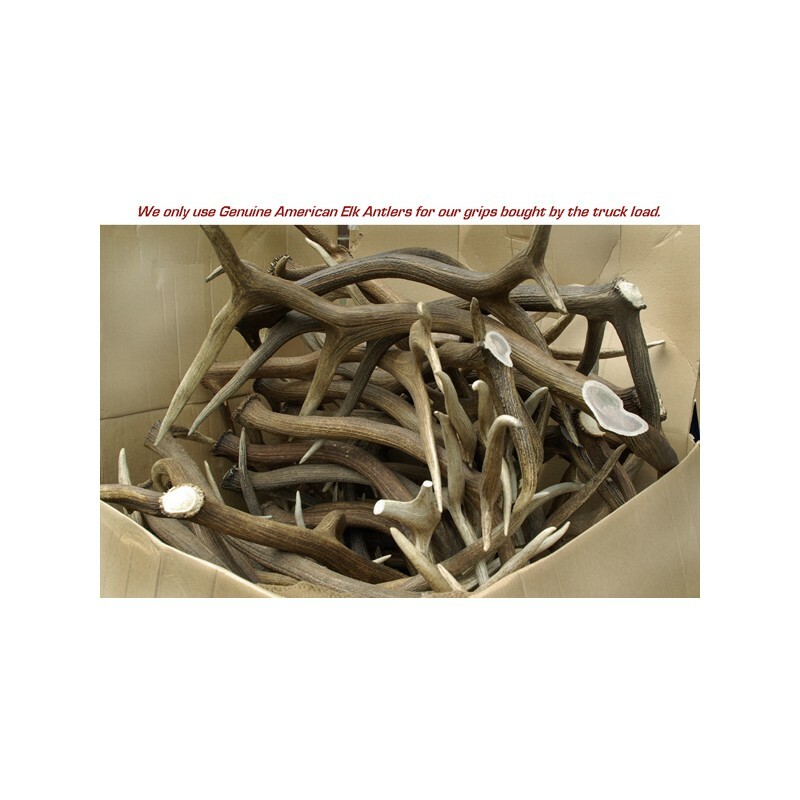 For faster delivery, please contact us at (800) 323-6144 and ask about our Expedited Service for an additional fee. Presentation grades are priced slightly higher. Please call for more details. Please allow at least 4-6 weeks for order delivery. 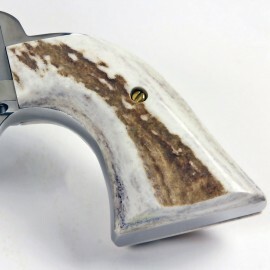 These grips are still handmade right here in our shop, so completion times depend on our workload and production schedule. 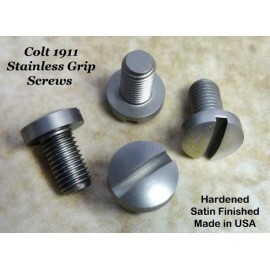 We appreciate your business and promise that your patience will be rewarded with a fine set of grips. 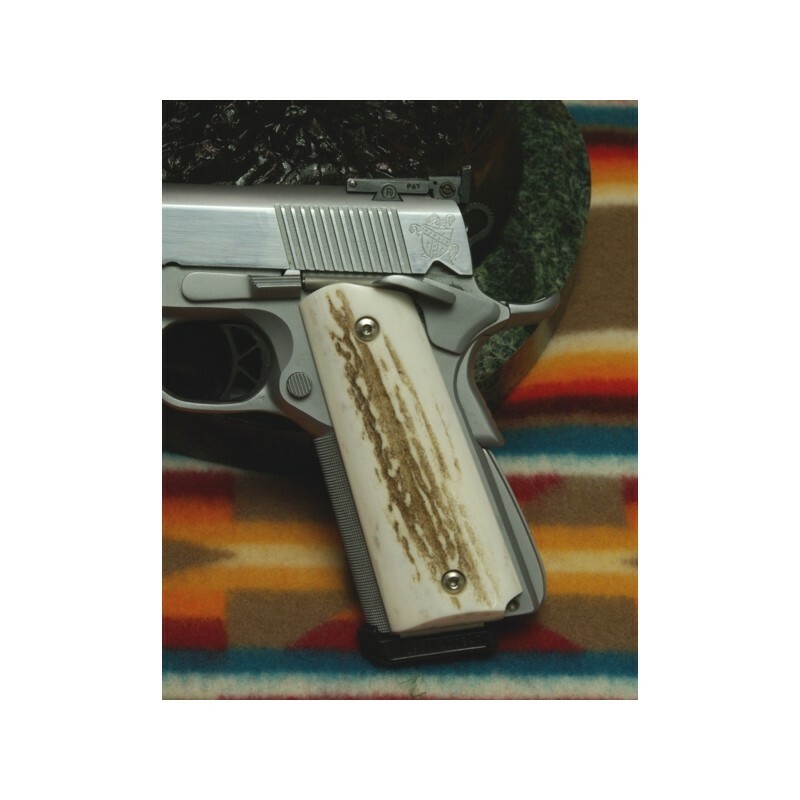 I bought a pair of these grips and am extremely impressed by the craftsmanship, quality and durability. Highly recommend! Grips look Fantastic and top notch! Feel great and very functional on my CZ1911 A1. Thanks Eagle Grips. 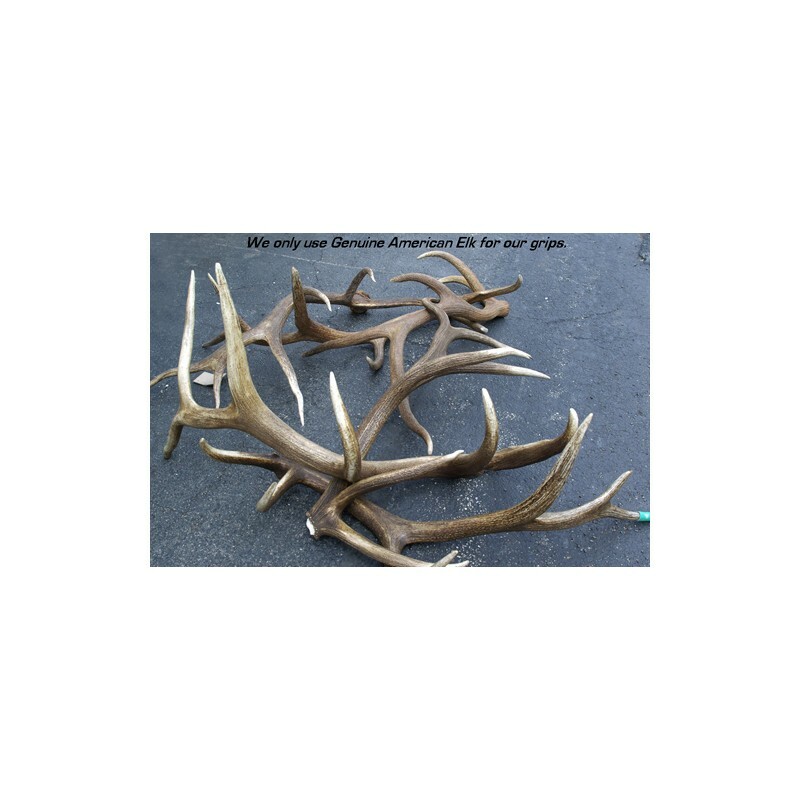 I received American elk grips for Christmas 2016. 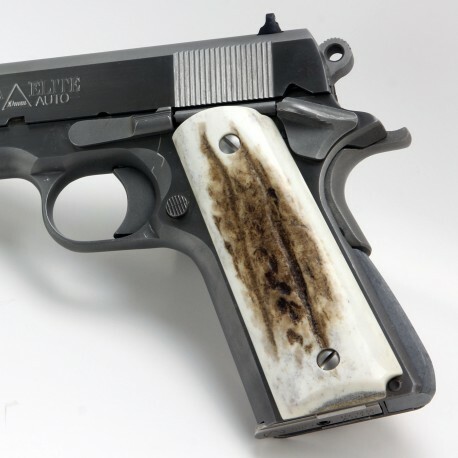 They were for a Springfield Armory Range Officer 1911 .45 ACP government. All I can say is "WOW!" They fit perfect. And they look great! 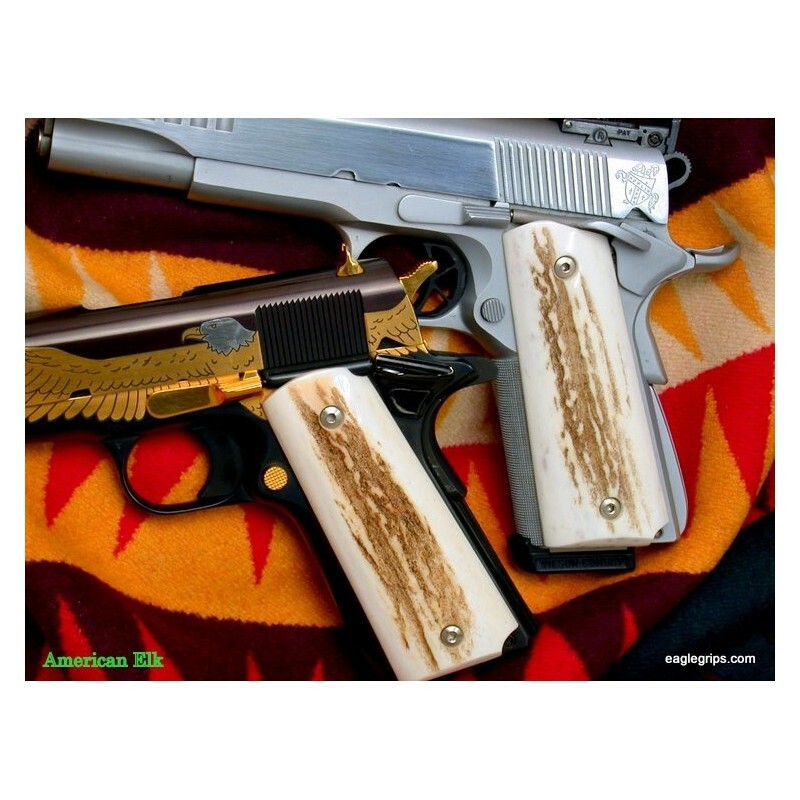 I love the Texas Ranger look and appeal of these grips. 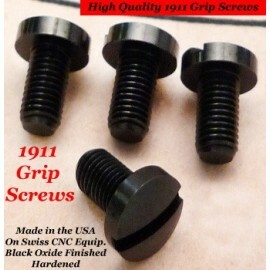 I have purchased grips from Eagle Grips in the past and have always been impressed with their quality and workmanship. Pete of Perry Hall, Md. 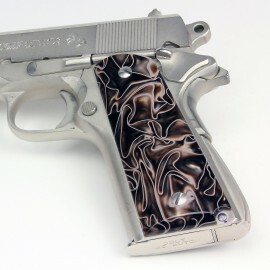 Very beautiful grips. Quality is second to NONE ! Eagle makes the best grips in the industry ! 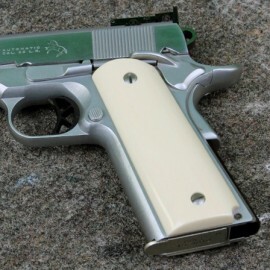 I found these grips to be well made and they fit my Remington R1 1911 perfectly. Definitely far and above a better looking and better fitting grip than the plastic types on the market QUESTION: would this grip fit on the STI 9mm full size 1911 frame (Trojan model)? 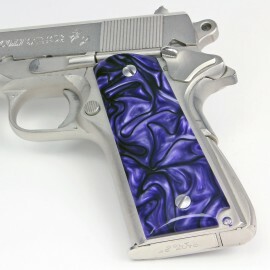 These grips really compliment my Colt 1911. Love the look & the feel. Nicest grips I ever put on my series 70 commander. Feels great. Looks terrific. Many positive comments from fellow shooters at my range.